What a gift to be able to drive a few hours to see nature's wonders in the relative quiet of winter. 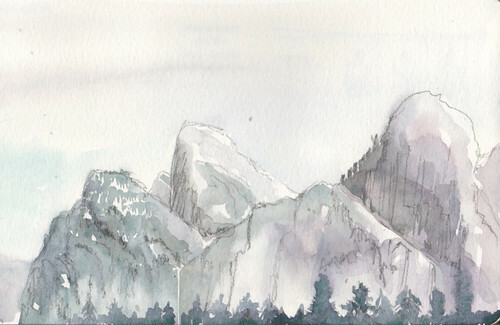 Sketched Cathedral Rocks and Bridalveil Fall as we exited the park. Nice sketch of the park!!! I hear they will be changing the names of some of the places in the park...odd what they are doing.